Global Ecotourism Network (GEN) – globalecotourismnetwork.org – is an organization whose founding members are the entire ex-Advisory Committee of The International Ecotourism Society (TIES). 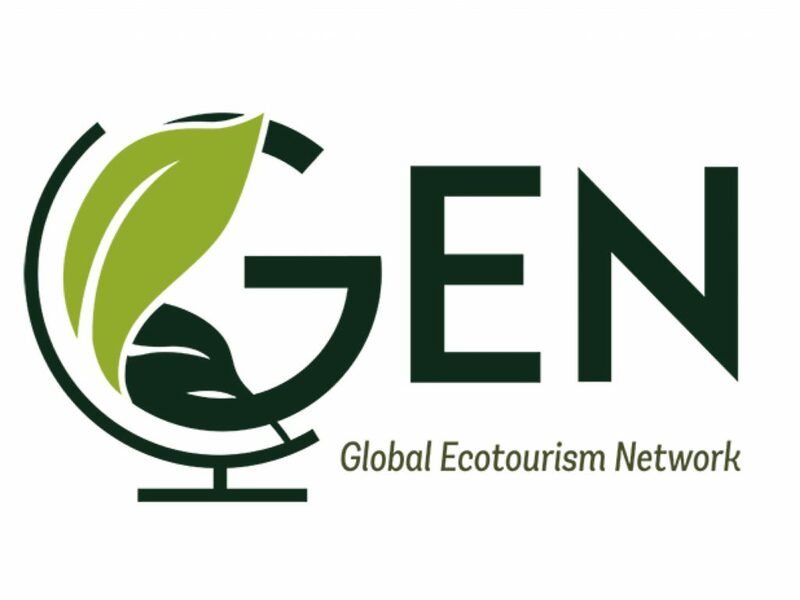 GEN’s mission is to bring together the world’s national and regional ecotourism associations and networks, destinations, indigenous peoples, global operators, professionals and academicians to grow the industry, provide advocacy and thought leadership, and to encourage innovation and authenticity in ecotourism. GEN acts as a vital resource for evaluating ecotourism practices and disseminating authentic ecotourism trends, applied research, and experience-driven studies. The recent executive orders and actions of the newly elected Republican Government stand in direct contrast to the values and principles of the Global Ecotourism Network (GEN) and threaten a livable and prosperous world for all. We, the Board of Directors of the GEN, strongly oppose any actions that discriminate on the basis of nationality, religion, sexuality, color, or the failure to recognize the needs of refugees across borders. GEN encourages a humane society and a tourism industry that supports the free movement of people while inspiring tolerance and the interchange of ideas and beliefs between diverse cultures. We strongly oppose any actions that fail to recognize the importance of the conservation of nature and its essential ecosystem services for a livable planet already threatened by climate change. In this year of Sustainable Tourism Development, GEN emphatically calls on the travel industry to continue its role in promoting inclusive policies and practices that connect people to places by supporting ecotourism principles: environmental stewardship, sustainable best practices, socio economic inclusion, sound science and education and interpretation. SAN JOSE, COSTA RICA–(Marketwired – February 26, 2015) – The entire Advisory Committee of the TIES program of the International Tourism Collective (ITC) has resigned from the ITC and is calling for global participation from members within the international ecotourism and sustainable tourism community to join in a transition to a new, positive, transparent and accountable global association to support the growth of authentic ecotourism and sustainable tourism around the world. This new organization is called the Global Ecotourism Network. Chairing the transition team is Glenn Jampol. Jampol is based in Costa Rica and has participated as a member of the Board of Directors of the International Ecotourism Society (TIES) and then the Advisory Committee of the ITC’s TIES program for over 11 years. During much of that time he was also the president of Costa Rica’s widely recognized National Association of Ecotourism and Sustainable Tourism (CANAECO). “As an Advisory Committee, we had worked diligently and tirelessly, and in some cases we invested our own money to support the advances and survival of The International Ecotourism Society and subsequently, the ITC’s TIES program. We reinforced the initial vision and fundamental work of the founding members and more recently of the chair, Dr. Kelly Bricker. We are honored to have participated in the growth and past success of this important global organization that began in 1990. However, in recent years we have had concern regarding access to important ITC held information. Despite numerous requests over the years by the ITC’s TIES Advisory Committee for information about the organization’s status (complete financials, accounting, operations, etc. ), the ITC has been unwilling to share what we consider essential information we had a right to see as members of the organization. In 2014, the ITC removed, without notice or explanation, the TIES program Advisory Committee’s involvement and participation in ITC’s programs, by among other things, removing each of the below identified members from the ITC/TIES website. As a result, the entire Advisory Committee of the ITC’s TIES program decided unanimously that resignation from the ITC was the appropriate response to our current situation, consistent with our belief about the ethical and fiduciary responsibilities that we bear. We remain however, committed to supporting the global growth and evolution of authentic ecotourism and sustainable tourism,” says Jampol. The Global Ecotourism Network has begun working on a contemporary and functional model for its governance, and to facilitate this evolution, it invites and welcomes any additional participants who wish to share their time and expertise in this new endeavor. The goal of the Global Ecotourism Network (GEN) is to create a professional, accessible, accountable and sustainable organization that supports ecotourism and sustainable tourism, best practices and innovative experiential leadership. The Global Ecotourism Network strives to be an advocate for the industry, utilizing the unparalleled experience of its institutional and professional members and commit to the development of the industry and its people.